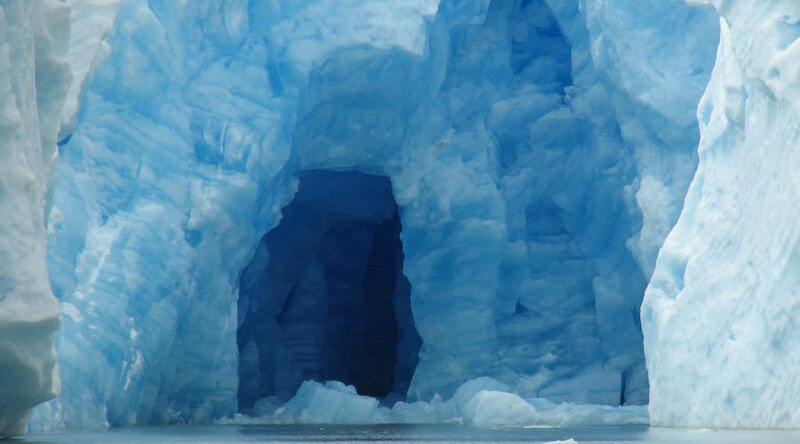 Ice cave in Glacier Gray, Torres del Paine National Park, Chilean Patagonia. Photo by Tom Holub, Flickr, CC BY-NC 2.0. Environmentalists interviewed by AFP said they believe Chile's 24,114 glaciers are in danger from mining activity. Climatologist Fabrice Lambert told the news agency that glaciers that are close to mining sites get covered by dust and such particles absorb solar energy in a way that could increase the rate at which the white ice mountains are melting. According to the expert, particularly those in the centre and the north of the country are at risk because they do not belong to protected parks. Even though Lambert is aware that mining activity is key in the world's top copper producer, he believes that it is important for Chile to emulate its neighbour, Argentina, and approve a glacier law that presents a fair balance between environmental protection and economic development. Other activists, however, told the Agence France Presse that they doubt such a law will ever be passed. They say a handful of previous attempts have been blocked in Parliament due to the political influence of the mining sector, whose reps and advocates defend their views by alleging that 70 per cent of the mining activity in the country takes place in areas where there are no glaciers and therefore there is no need for new regulations.